EVANSTON, Illinois — Erica Johnson caught the ball behind the 3-point line with less than five seconds to go needing a three to send the game into overtime. She took a few dribbles, crossed up her defender and let the ball fly. But the ball hit the front iron and Johnson collapsed to the floor in heartbreak. Ohio (30-6) fell to the Northwestern Wildcats (21-14) 61-58 in the quarterfinals of the WNIT Saturday night, ending their season. The Bobcats led 49-41 heading into the fourth quarter, but the Wildcats began the quarter on a 7-2 to cut Ohio’s lead down to three. With less than six minutes to go, Johnson responded with with a lay-up and hit a free-throw to complete the 3-point play to put Ohio up 54-48. But things unraveled with less than two minutes two go when Amani Burke pushed off of a Wildcat defender and was called for the offensive foul — her fifth of the game that resulted in her fouling out. The next Northwestern possession, Jordan Hamilton hit a jump shot to cut the deficit to one with over a minute to play. The next sequence was as bad as it could get for Ohio — Olivia Bower turned the ball over and CeCe Hooks dove for the lose ball and in the process fouled Veronica Bulton — Hooks’ fifth and final foul as well. In a matter of a few plays, Ohio lost two of its starters. Burton stepped up to the free-throw line and hit both shots to put Northwestern up 57-56 — the Wildcats’ first lead since the 7:06 mark of the first quarter. Ohio had its chances late to tie or re-take the lead, but Johnson missed a shot and the Bobcats turned the ball over. Johnson hit a lay-up with 5.1 seconds to go to make it a 1-point game. Ohio then fouled Lindsey Pulliam, who hit both free throws to put the Wildcats up 61-58. Johnson had one last chance to send the game into overtime, but her shot fell just short. Ohio’s historic season comes to a close at 30-6. The 2018-2019 season arguably was the best in program history. The 30 wins in a single season are a school record (the previous high was 27). The Bobcats also reached the quarterfinals of the WNIT for the first time in program history. Ohio largely over achieved in many people’s eyes when looking at how young the roster is. Ohio won the MAC East after being picked preseason to finish third in the division. The Bobcats went on to get the No. 2 seed in the MAC tournament and were the eventual runner-ups after to falling to Buffalo in the MAC Championship game. Ohio’s season ends in heartbreak, but it was filled with several milestone achievements. Bob Boldon became the winngest head coach in program history with a win over the Miami RedHawks in late March. The Bobcats also saw junior guard Amani Burke and sophomore guard CeCe Hooks reach 1,000 career points for their careers. Hooks also broke her own record for most steals in a single season by a Bobcat. Hooks was also named First Team All-MAC with Burke being named to the third team. Redshirt freshmen Erica Johnson was named the MAC’s 6th Man of the Year and to the MAC All-Freshmen team. Ohio returns four of its five starters, saying goodbye to its lone senior starter Dom Doseck. The Bobcats also lose seniors Olivia Bower and Kendall Jessing. But with Ohio returning its top four scorers, Ohio figures to be one of the preseason picks to win the MAC. 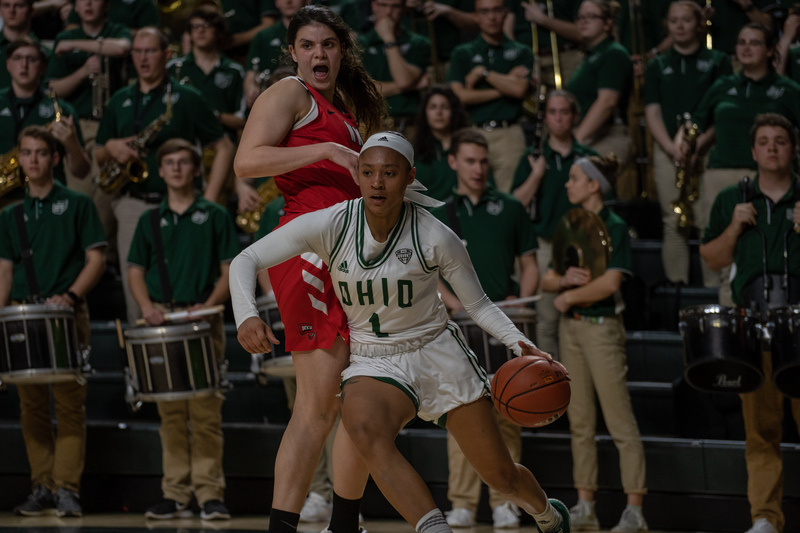 But for now, it’s a season that the players on the 2018-2019 Ohio women’s basketball roster will remember forever and a season the program will hang its hat on for a long time.